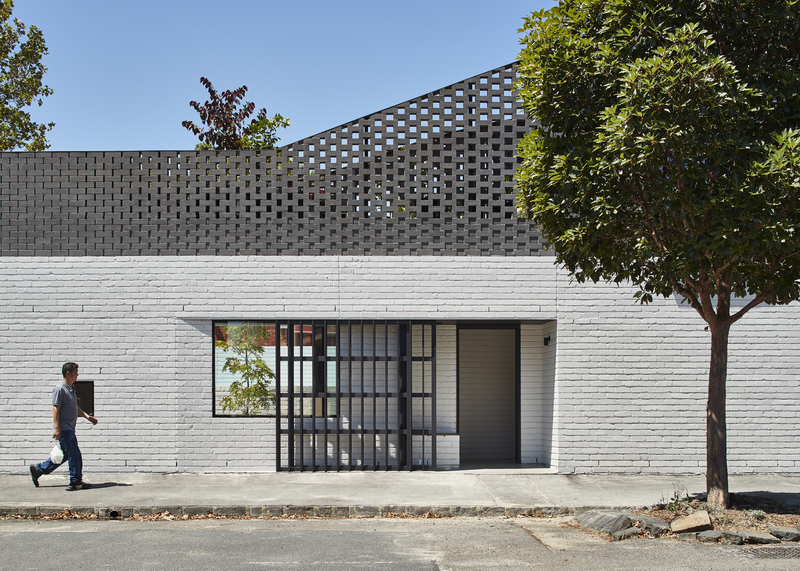 Bound on all edges by a vibrant industrial context of brick factories, businesses and warehouses, this house is poised between two extremes, with the cool tranquillity of the shady poolside inner garden only a building skin away from the growl of the tough industrial streetscape. With one side of this western edge threshold pushed hard against the street and the other side opening to a centrally located courtyard space, inbuilt pool and fireplace, this strip of building works between the public and the private, while offering places for engagement with the active street edge and places for children to peek out and play. 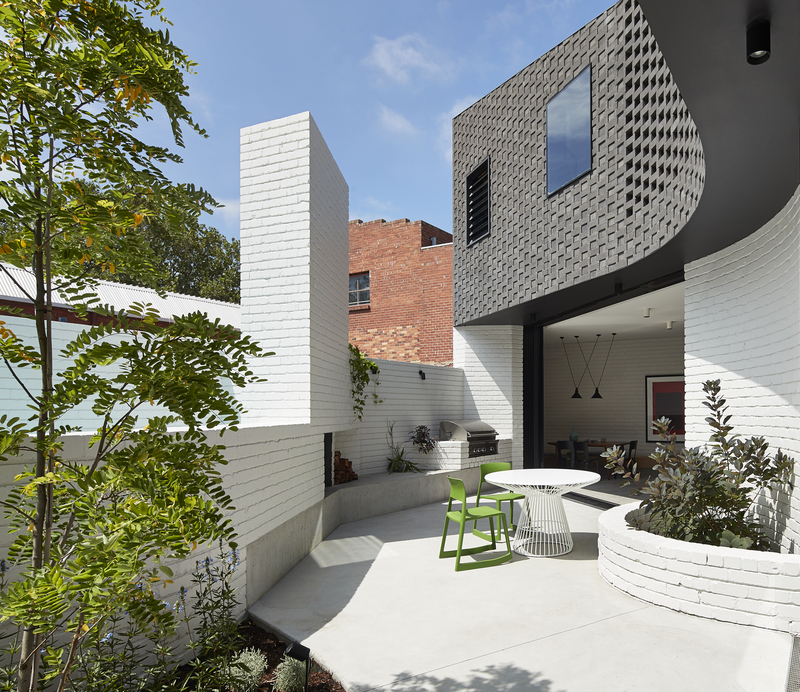 The house is a veritable festival of bricks, with new brick walls, recycled brick walls, brick planters, brick fireplaces, a brick swimming pool surround, brick perforated screens, brick textured surfaces- every brick use possible. Swooping planes, chunky masses, thick buttressing, paper thinness, lacy transparency, basket weave patterns: it’s all here. But it’s the bricks – the regular, the solid, the dependable bricks – that weld it all together powerfully into its visual oneness. 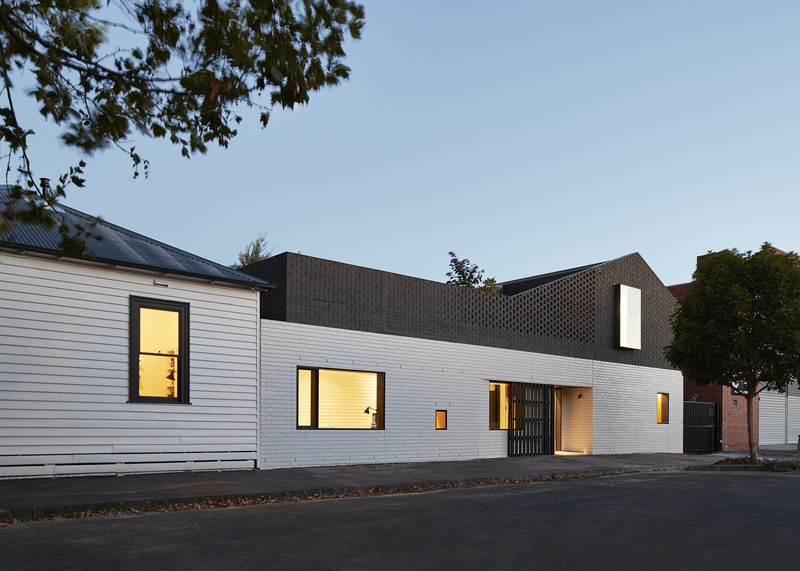 "With a heavy material on top, made to look light, this project transcends the nature of masonry to create an intriguing yet friendly house that interacts nicely with the street."